Manchester United manager Jose Mourinho is reportedly set to accept a one-year suspended prison sentence over tax evasion during his time in Spain. According to the Metro, the Portuguese tactician will not serve any time behind bars due to Spanish laws being somewhat lenient on first-time offenders. 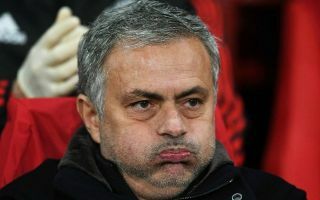 The report states Mourinho is the latest of a number of big names to land themselves in trouble as Spain tighten up their tax laws, with the likes of Cristiano Ronaldo, Lionel Messi and Javier Mascherano have also been found guilty of tax evasion in recent times. Mourinho seems to have accepted charges of using offshore bank accounts to get out of paying the proper amount of tax, according to the Metro. The 55-year-old’s tricky start to this season just seems to continue after his difficulties at Old Trafford so far this term. United’s results have been poor, with two defeats from their opening four games and some unconvincing football played by Mourinho’s side. Still, the Red Devils bounced back with a win at Burnley over the weekend, and at least Jose can be glad he’s not going to jail!